These beautiful heritage buildings are works of Art. They are known by their own names, and are mixed media masterpieces often with fancy brickwork, fine tiling and at best parquetry flooring, with complex skilled joinery, artistic embellishments such as ornate ceilings, beautiful artisan lead light windows and a valued heritage. The individual residences showcased here are each listed in the References below. Federation style derived from the architecture of the English Revival which celebrated variability – sometimes referred to as the aesthetic of the ‘picturesque’. The picturesque aesthetic can also be seen as a rejection of the modern world of darkened cities, factories and mass production in that it celebrated traditional craftsmanship through the varied use of materials such as stone, brick, shingle and timber. The Fairfax family’s vast harbour-front Point Piper estate, Elaine, is being introduced to the market as “Elaine Gardens”, worth $80m. 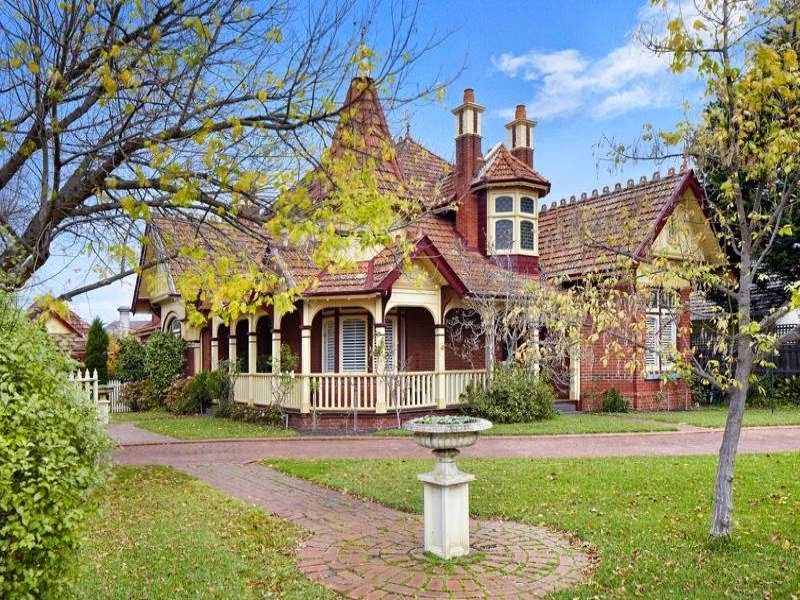 The picturesque Gothic home has been owned by the Fairfax media dynasty since 1891 when it was bought for £2100. The Queen Anne style took its name from the British monarch of late 17th century but, in reality, derived inspiration from the Tudor and other earlier periods. The Gothic (Queen Anne) Revival style is part of the mid-19th century picturesque and romantic movement in architecture, reflecting the public’s taste for buildings inspired by medieval design. This was a real departure from the previously popular styles that drew inspiration from the classical forms of ancient Greece and Rome. Richard Norman Shaw was the Revival’s most influential British exponent in the late 19th century. 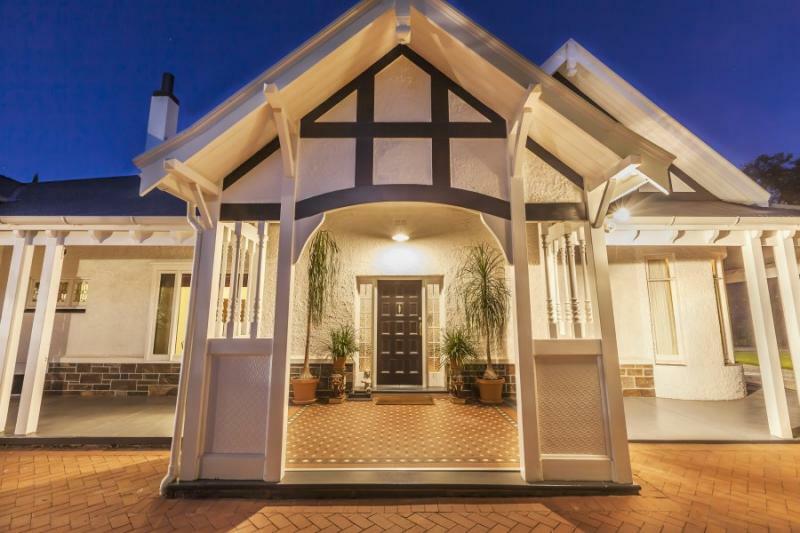 ornamental timber work particularly on verandahs. ‘Queen Anne’ exteriors tended to be asymmetrical with elements such as a turret or unexpected circular window added for interest and delight. In this respect English Revival architecture was a reaction against a formulaic and predictable Georgian classicism. “The principle behind the “English Revival” (Queen Anne) or “Gothic” home is one of frankness. That is, the exterior is a frank expression of the interior. “Thus the Gothic (Queen Anne) style is the most flexible of all. Though symmetry is sacrificed it is more than made up for in the subtle balancing of parts. The finished result, if carefully watched, will be a beautiful composition of shapely architectural forms, varied wall surfaces, projecting casements and rich, decorative detail. “The (smaller) English Cottage style is notable for its steeply pitched, cross-gabled roof. 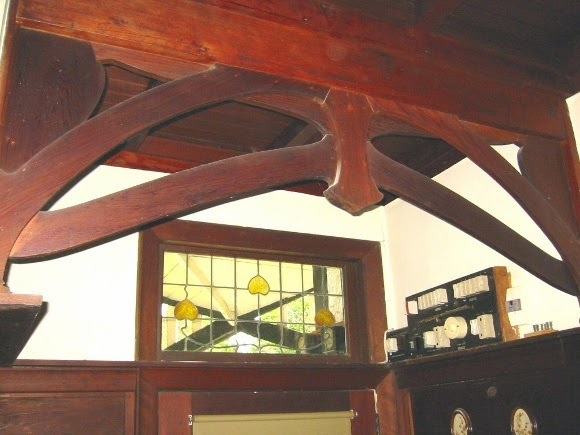 Decorative half timbering is common in the gable and second story. 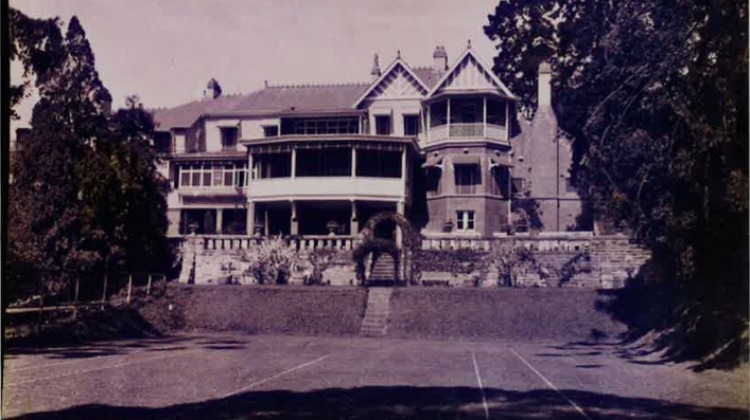 Haenke (originally from Toowoomba, Queensland) was designing buildings in Launceston between June 1904 and May 1906. Haenke managed to integrate elements of the Arts and Crafts Movement and bold Art Nouveau forms with the use of timber work, brick and tile common with his contemporaries. Some time in 1905 he left for the mainland and then to California, where he became an architect of note. Even more than Queen Anne, Arts and Crafts celebrates the artisanship of the carpenter, bricklayer, mason, plasterer and glazier. Arts and Crafts placed added emphasis on the variation of materials. But the elements of the Arts and Crafts design tend to be less flamboyant and overtly historical than those in Queen Anne. The English designer William Morris is most often associated with this movement in Britain. 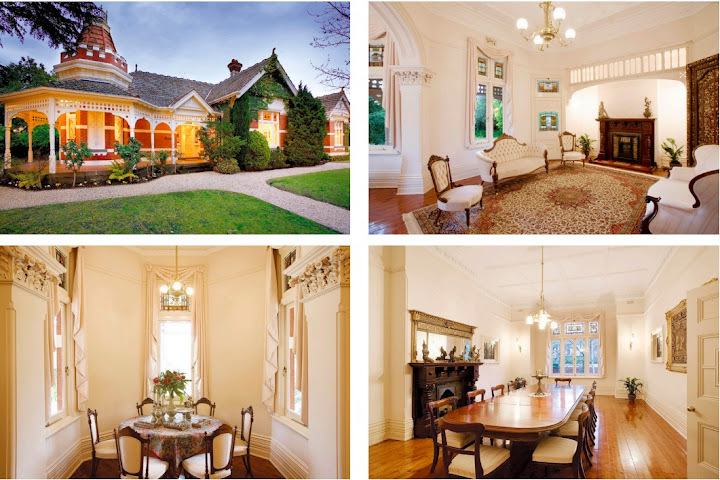 Melbourne’s designers in this style include Harold Desbrowe-Annear, Rodney Alsopand Walter Butler. varied use of materials such as stone, brick, shingle and timber. fine detailing and natural ‘organic’ shapes – flowers in particular – were important. rough-cast (or pebble-dash) style wall decoration is an important component of the style, adding another form of natural finish. Contemporary North American architecture, too, was influenced by this craft revival. It, in turn, influenced aspects of Australian architectural design, particularly with the local adoption of the wall hung timber shingle. “Trevenna” Armidale NSW, is clearly representative of the domestic architecture of Hunt. The Federation Bungalow style employed design elements of the other two styles but usually in a simplified fashion. 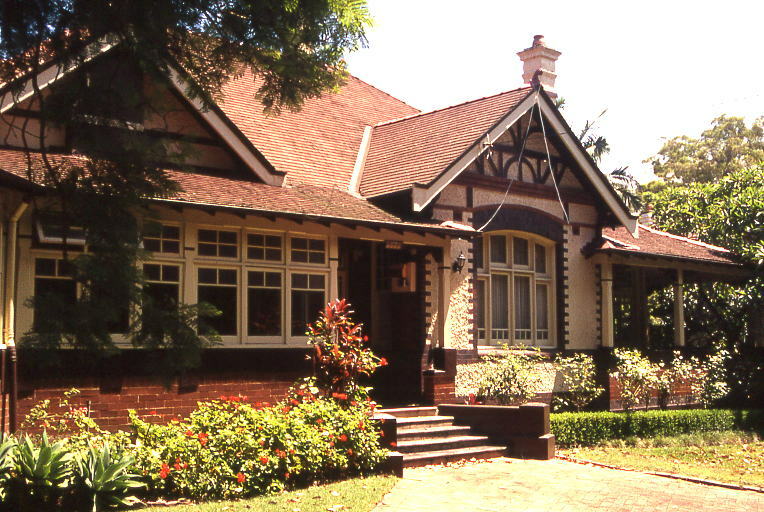 The Federation Bungalow style was the Australian response to the bungalow style that was developed in America by people like Gustav Stickley. Gustav Stickley was a furniture manufacturer, design leader, publisher and the chief proselytizer for the American Craftsman style, an extension of the British Arts and Crafts movement. 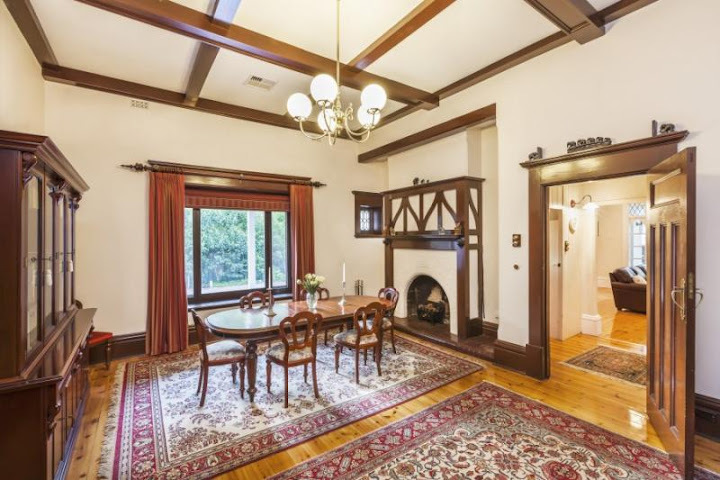 ‘Travancore’ – Ussher & Kemp Grandeur – 608 Riversdale Road, Camberwell, Vic. 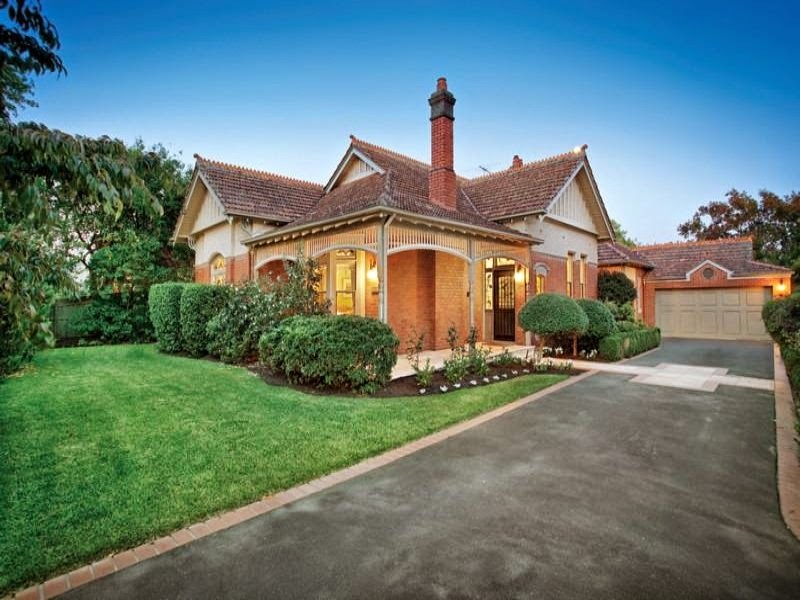 Rokeby, the house at 78 Athelstan Road, is a red brick Federation house with a return verandah and angled corner bay, anchored compositionally by two projecting brick wings to the east and south. ‘Rokeby’s site placement, angled corner bay, and placement of a pyramidal roof form punctuated by projecting sitting room and dining room bays, is a clear and mature reflection of the external massing that would mark the Federation period. Its pinwheel placement of rooms around a central hall became thoroughly characteristic of internal planning in the Federation period. Federation Filigree was designed to create shade while allowing for the free flow of air. 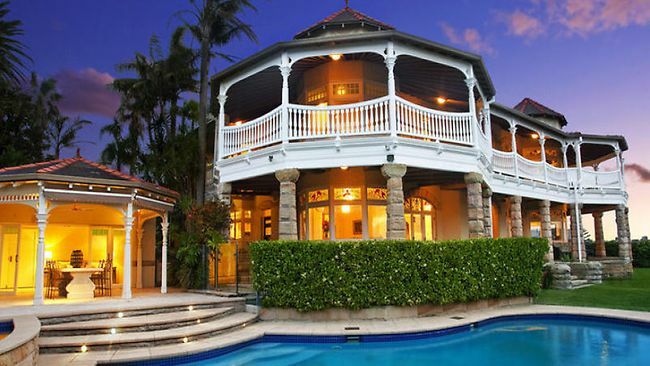 The “Queenslander’ is the foremost example of this style. Earlsferry House and Grounds 1A Nurstead Ave, Bassendean, W.A. The Gothic Period was a revival by the Victorians in the 19th Century and was a style that had a religious symbolic base. 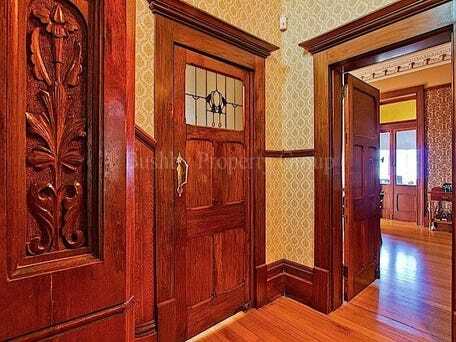 The Victorian Period provided a great change for the middle-class home. Goods and services became more accessible for the general population, and pride in the home began to show. Art Nouveau is considered the first style of the 20th Century, and a movement forward in the way design was concepted, coming from the present rather than looking back at the past. In interiors, Art Nouveau influenced joinery, leadlight glass and wallpapers. 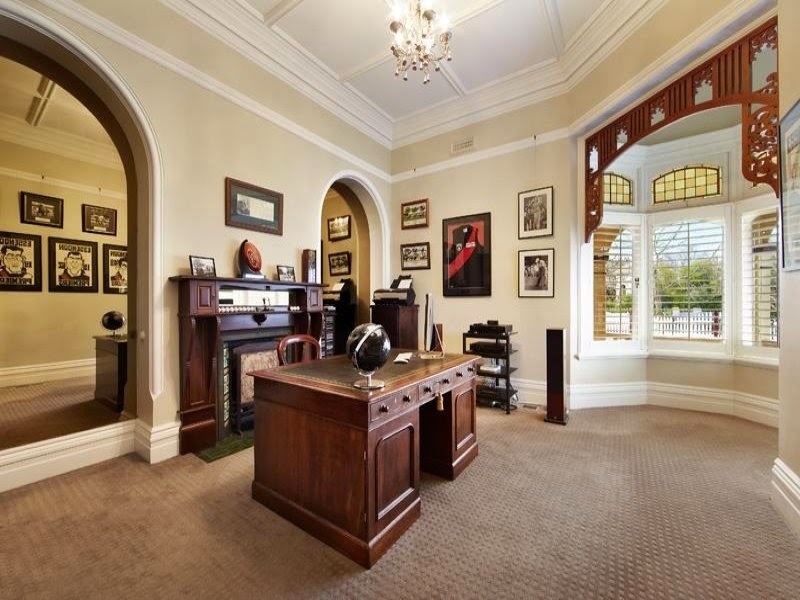 Edwardian style are major influences on our Federation interiors. 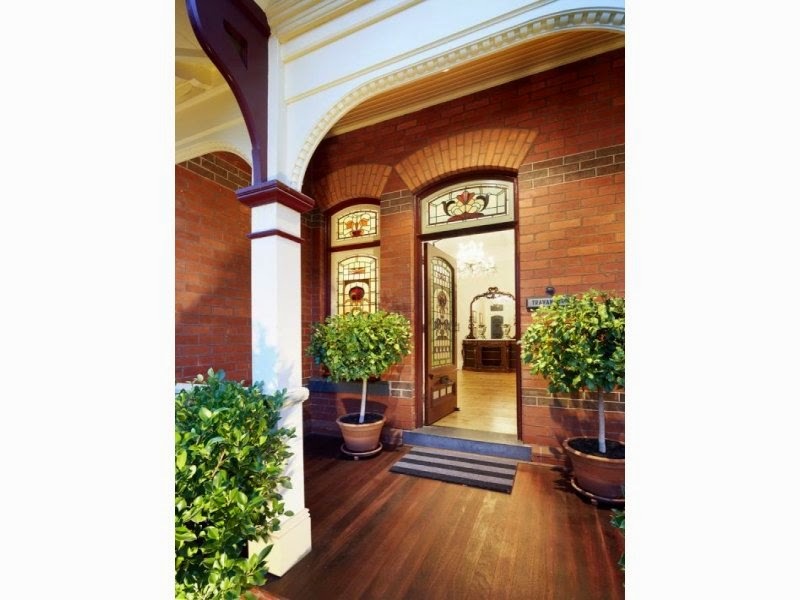 The artistic and build quality of the timber joinery is considered the ‘measure’ of Federation interior decoration. Inside the house, colours were muted but decoration was ornate. Australian motifs abound with flora and fauna both displayed in the plaster ceilings or used in fabrics, wallpaper, glass and tiles. 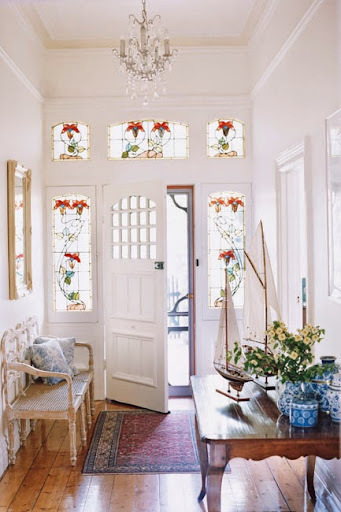 The most prevalent Australian motif is the ‘rising sun’ as a gable decoration. 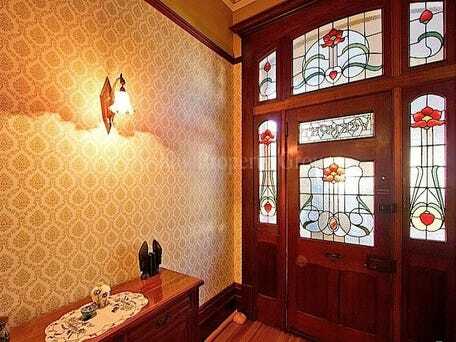 Coloured glass or lead-light was used throughout Federation homes and the top panels of the front door often featured panels of colour in soft pastels with Art Nouveau or Australian motifs. Leadlights or leaded lights are decorative windows made of small sections of glass supported in lead cames, and impart elegance and romantic charm to the rooms they illuminate. This tradition is a Gothic influence, deriving from the stained glass of Gothic Revival churches. 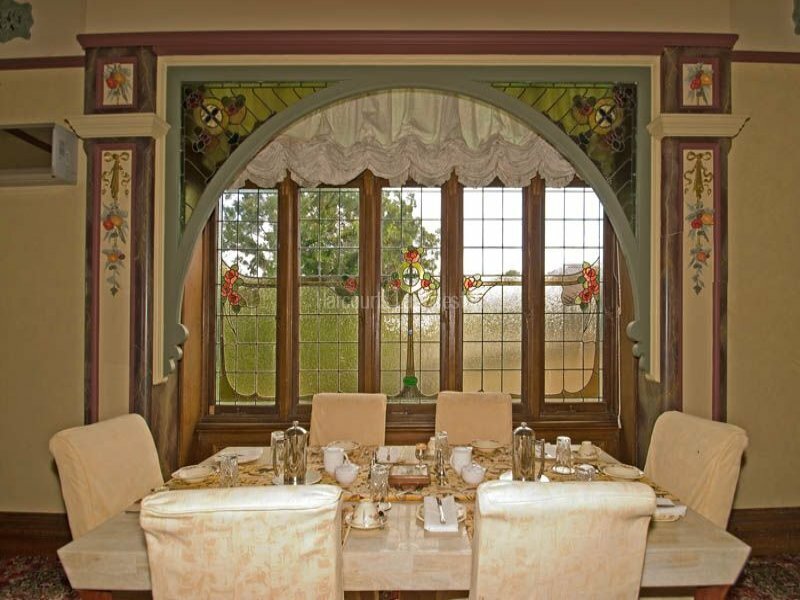 The Gables Tea-room: Renowned Queen Anne architects Ussher and Kemp celebrate Australian flora and fauna in the intricate plasterwork and leadlight throughout the Gables mansion. Round bulls-eye windows as well as bay windows were popular. 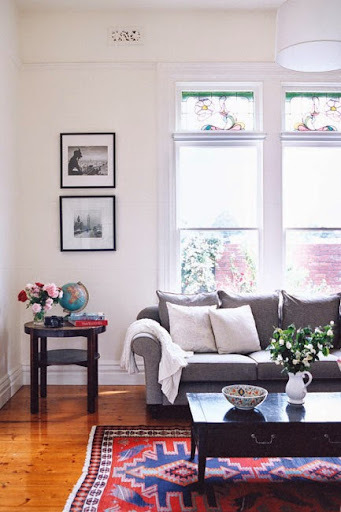 The bay window would often house a window seat . 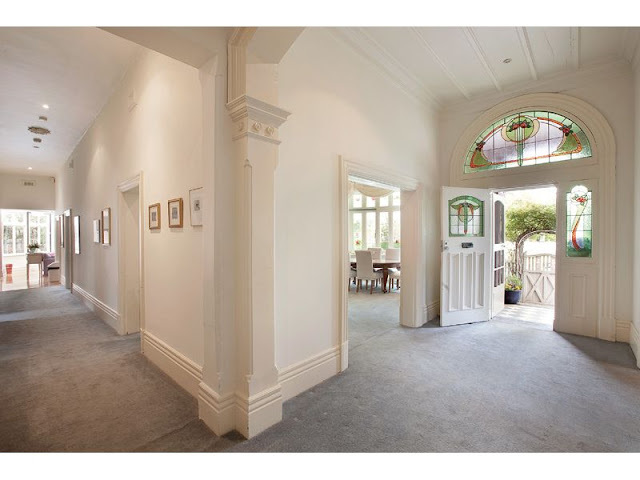 Ornate bay and (wider) bow windows at Auld Reekie, 511 Royal Parade Parkville, Vic. Their external view is illustrated below. ‘Auld Reekie’ is of architectural significance to the State of Victoria. 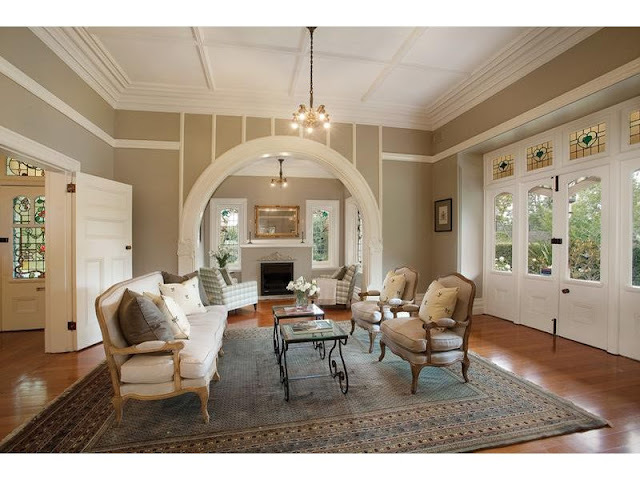 ‘Auld Reekie’ is architecturally significant as intact example of an Edwardian era villa in the so-called Federation Queen Anne style. 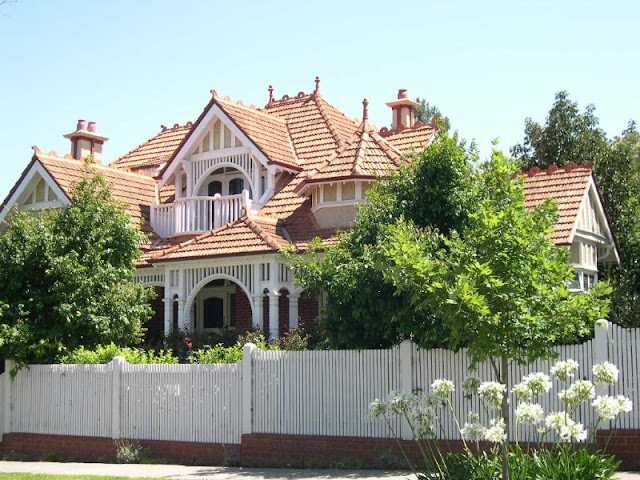 This style, arguably one of the first distinctive Australian architectural styles, is illustrated by the elaborate roof detailing, picturesque appearance and materials of red brick and terra cotta tiles. A French door is a door style consisting of a frame around one or more transparent and/or translucent panels (called windows or lights) that may be installed singly, in matching pairs, or even as series. French doors have a purpose beyond style. The windows in the door allow more light to enter a room.This was important in a time before the discovery of electricity, as it allowed people to have light in their homes for a longer part of the day. 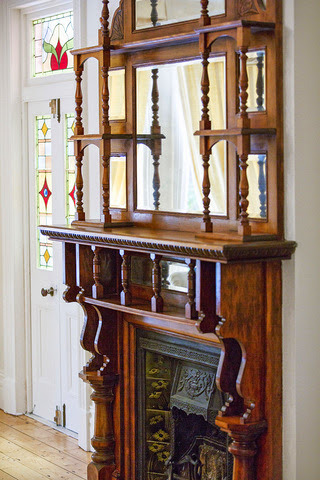 Edwardian fireplace at 18 Kintore Street Camberwell, Vic. 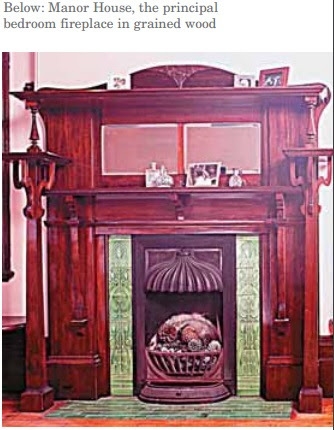 The Federation or Edwardian ﬁreplace rejected Victorian styles and fireplace practices (Victorian fireplaces were not efficient). 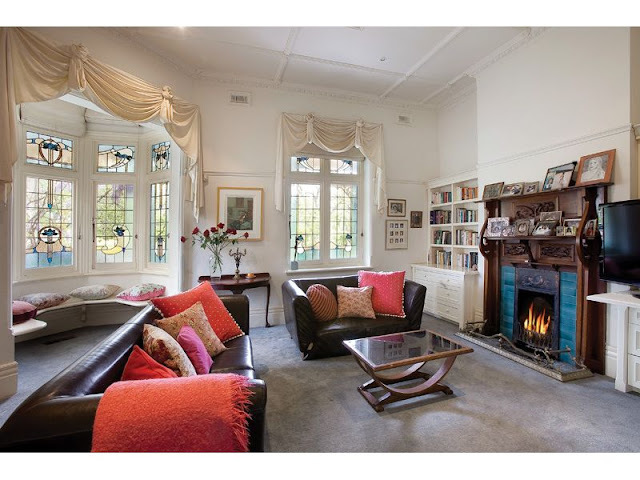 As the Federation house expressed a desire for informality, ﬁreplaces were often moved to the corner of a room, or situated in cosy nooks and bays. The ﬁreside inglenook created an informal area for reading and conversation. 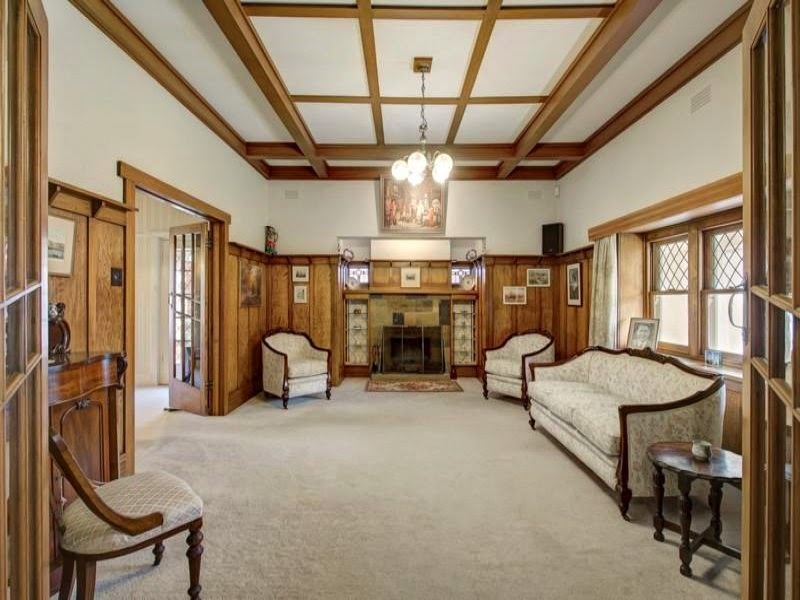 Arts and Crafts interior at ‘Susquahana’ 162 Cross Road, Malvern, S.A. In an Edwardian bathroom, there’s tile across the whole floor and tile or wainscotting half or a third of the way up the wall to make the surfaces easy to clean, and the walls above topped with light pastel colors or floral patterns. Empty corners and open spaces were the rule, with only as much exposed plumbing as was expressly needed to fill a Clawfoot Tub and feed the Console Sink and toilet. 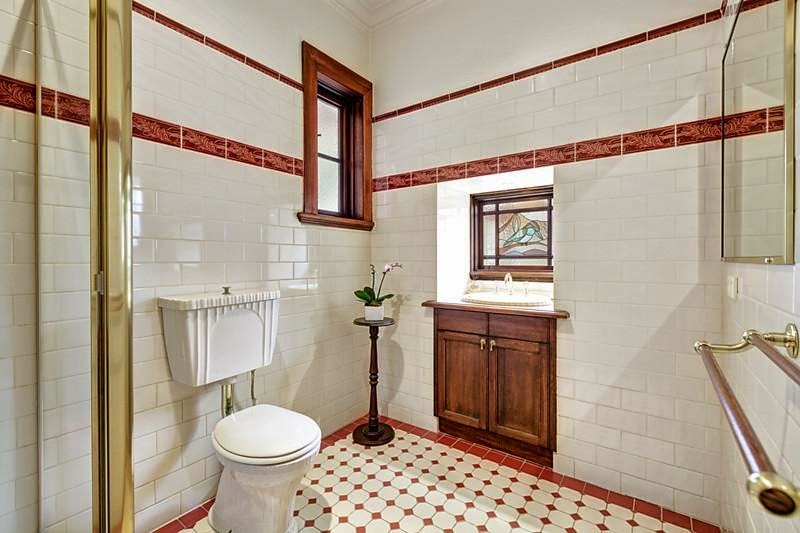 Edwardian bathrooms, as with the rest of Edwardian architecture, utilized lots of natural light, so there’re lots of large windows, light pastel color schemes, and often bouquets of fresh flowers to emphasize the bright, natural aspect of the bathroom. Original Federation style bathroom with modern shower and tap ware. 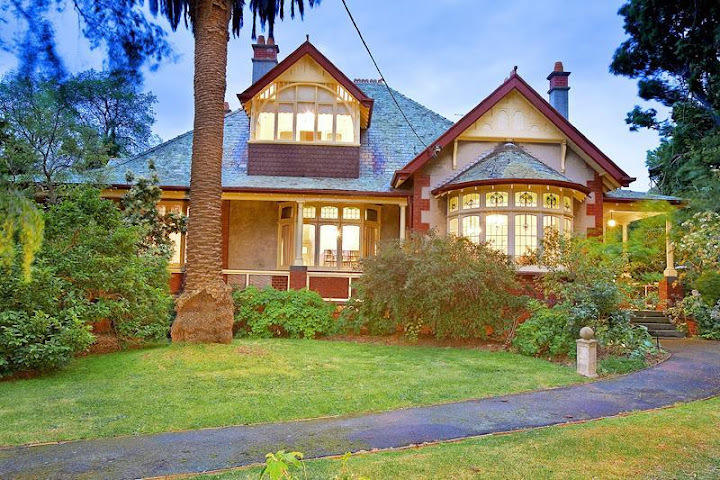 Old listing; Heritage Listed Location; c1892. 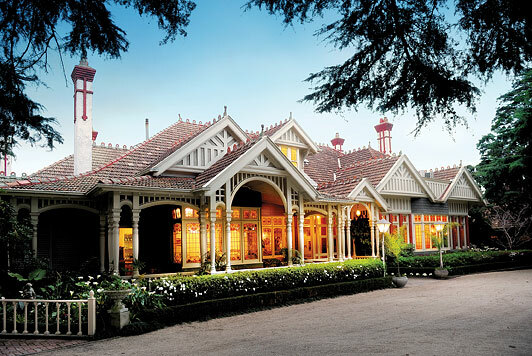 Magnificent mansion originally designed by the architects Reed Smart and Tappin in 1892 for James Cooper Stewart. In 1917 the noted architect Walter Richmond Butler designed extensive but sympathetic external additions in (Queen Anne) Elizabethan Revival style. Sold 2013 to Andrew Abercrombie. Bought in late 2011 for $11 million by Simone Semmens. 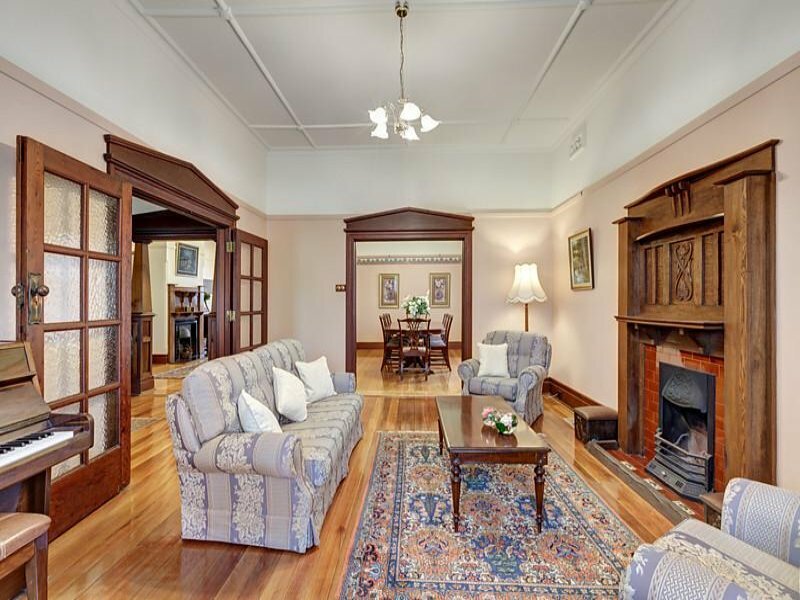 No detail has been spared in the maintenance of this century-old residence, from the stained glass windows and open fireplaces, to the classic furnishings and elegant period detailing. 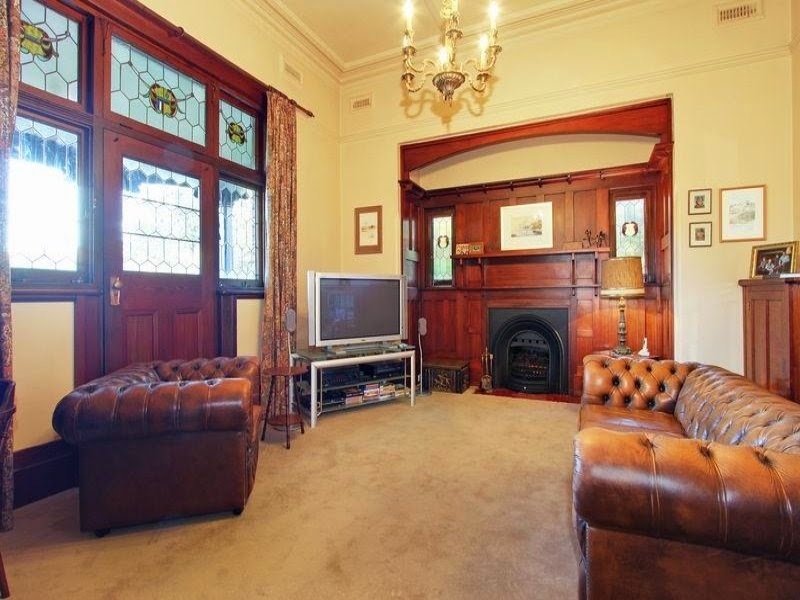 Built in 1902 by local property developer Lawrence Alfred Birchnell. The Gables is considered one of the most prominent houses in the Gascoigne and Waverley Estates. Renowned Queen Anne architects Ussher and Kemp celebrate Australian flora and fauna in the intricate plasterwork and leadlight throughout the mansion. William Guilfoyl the master landscape architect of the Royal Botanical Gardens designed the garden which retains much of it original structure today. 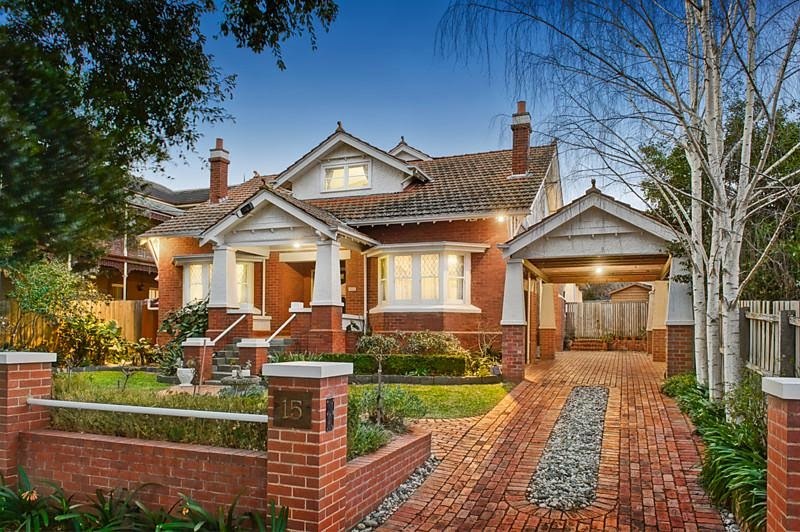 recent listing; circa 1916, regarded as one of Ashfield’s finest period homes. 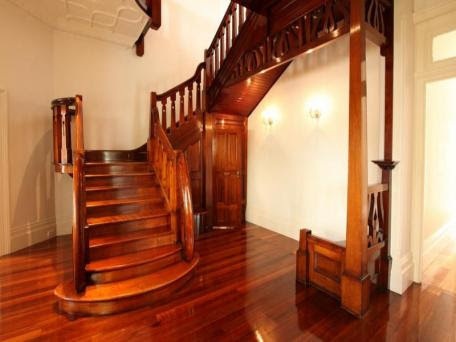 Heritage Listed Location; Booloominbah was designed for Frederick Robert White in about 1882 by John Horbury Hunt and built by local building contractors William Seabrook and John Brown in 1888. The White family occupied the house until 1933. Booloominbah reflects the Gothic revivalist influences of the ‘Queen Anne’ style. Wikipedia listing. Architect: J. Martyn Haenke; One of Haenke’s finest buildings. The major internal space is a large open two storey high hall with stair and chimney inglenook at the base, which finds its external expression in the squat turret which penetrates the hipped roof. 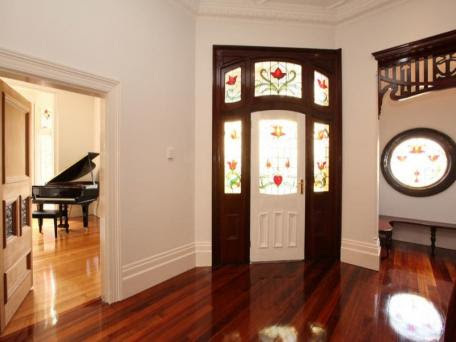 The exterior displays a wonderful fluidly detailed verandah, echoed in the original front fence. SHOULD be Nationally Heritage Registered. SHOULD be listed by the National Trust. Harrap House, now Egremont 20 Welman Street, Launceston TAS. Tasmanian Heritage Register #4696; SHOULD be listed by the National Trust. possibly designed by Christopher Cowper. A dramatic and innovative architectural statement in the shingle style by one of the leading architects of the Federation era. 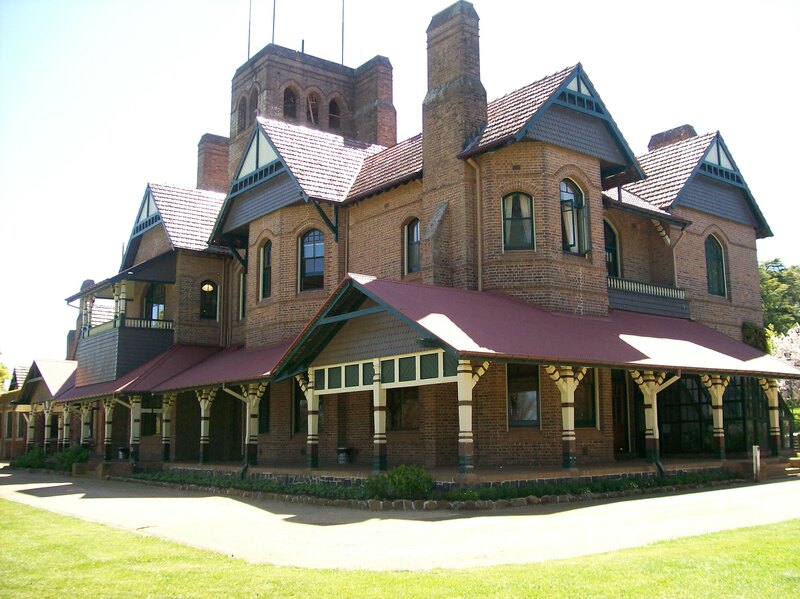 Trevenna is the residence of the Vice-Chancellor of the University of New England, in Armidale, New South Wales, Australia. The house was built in 1892. Heritage listed in Victoria. 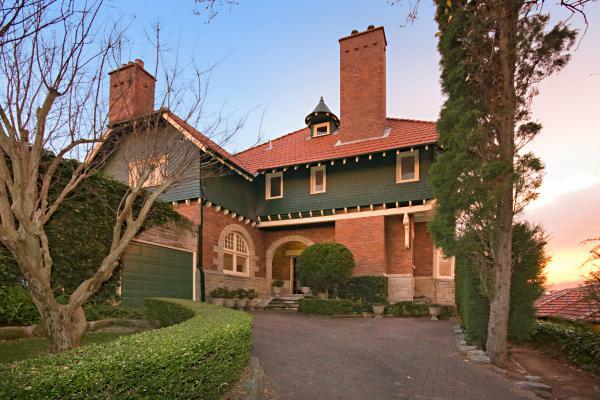 Built in 1903, a residence designed by Harold Desbrowe Annear. 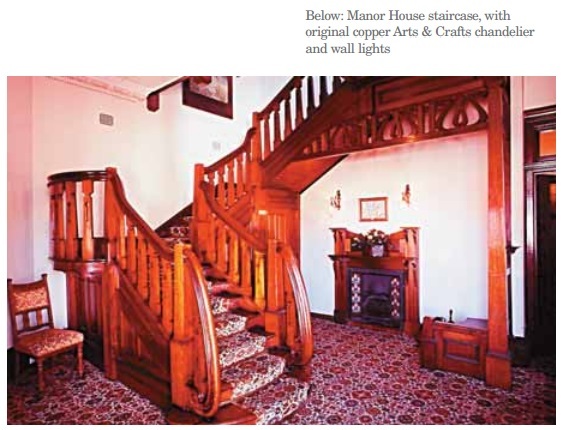 Annear was one of Australia’s leading and most innovative Arts and Crafts architects the early twentieth century. 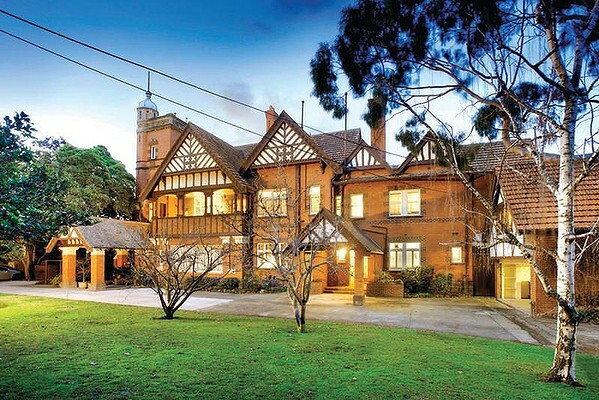 The circa-1926, five-bedroom mansion at 26 Albany Road, said to be Toorak’s most expensive street, is at the north-east corner of Whernside Avenue. A tennis court was installed recently atop a 12-car underground garage. 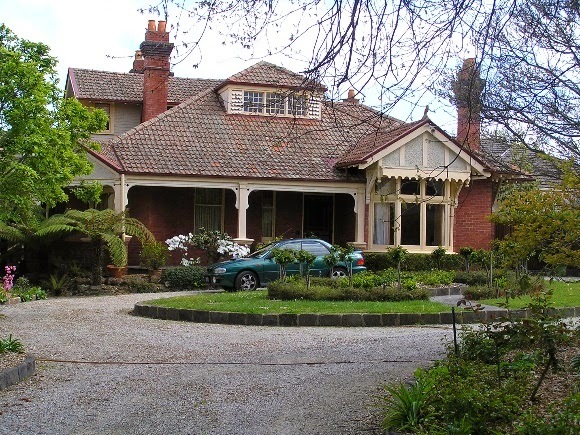 old listing; part of Burwood’s Appian Way Conservation Area; Burwood Heritage Trail; classified by the National Trust; Listed on the Australian Heritage Commission’s Register of the National Estate for “The Appian Way Precinct”; as Australia’s finest private model garden estate. 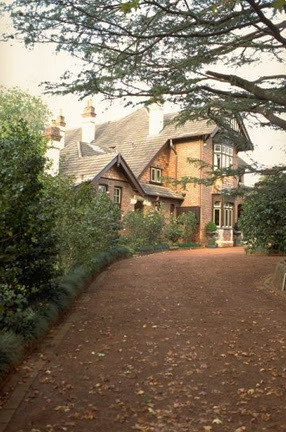 former home of May Gibbs; as the house where May Gibbs wrote Gumnut Babies 1916 and Snugglepot and Cuddlepie 1918, ‘Derry’ is particularly important. Cremorne was added to the Queensland Heritage Register on 21 October 1992. Offered for sale for the second time in its 110 year history, this iconic estate originally built in 1905, has the elegant heritage exterior of a Queenslander but inside, the home has received a complete contemporary restoration and heritage approved pavilion extension. 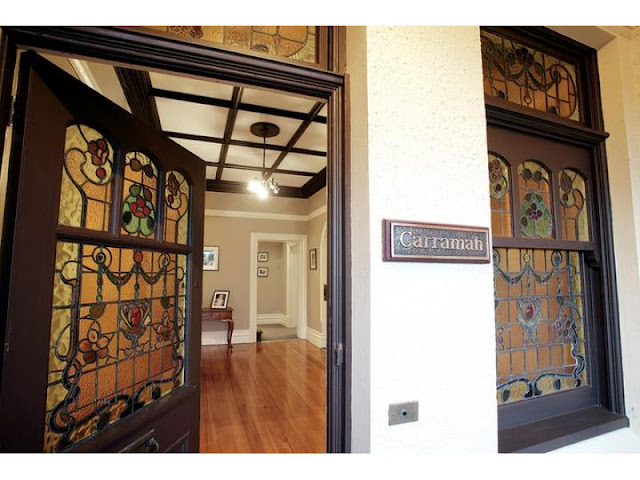 Receiving the 2009 State Residential Architecture Houses Award, its exquisite internal features include stained glass windows, 13 foot high ceilings, three fireplaces, chandeliers and polished timber flooring. “The Monterey” was built in the early 1900s as a private waterside residence and guesthouse. Falling into dereliction, the mansion was completely restored and turned into a restaurant and residence, eventually being converted into 5 luxury strata apartments in the 1980s. Bettina Hemmes, the low-profile interior designer daughter of the famous Hemmes family, bought Kianga, a five-bedroom Federation house in Vaucluse at auction on Nov 24, 2010 for $12.6 million. Auld Reekie is the last remaining example of the grand mansions once gracing Royal Parade. 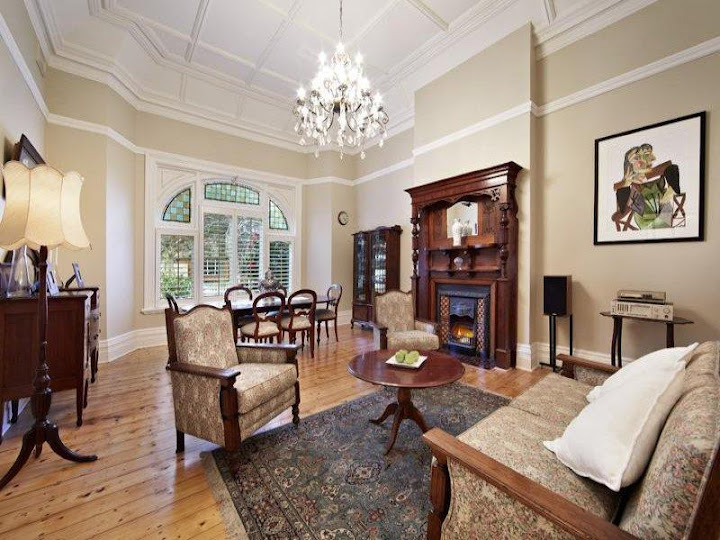 Fully restored with exceptional craftsmanship, featuring 13 principle rooms over two storeys. Victorian architects Harold Desbrowe-Annear, Rodney Alsop and Walter Butler.